Are you a stressed-out homeschool parent, trying to fit it all in and wondering if you are doing right by your elementary-age child? The elementary years don't need to be like that! 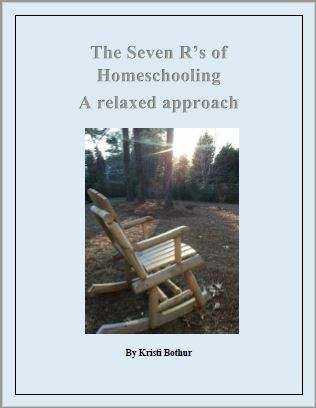 Come alongside fellow homeschool mom Kristi Bothur as she shares the Seven R's of Homeschooling, the approach that has enabled her to relax and enjoy the younger years of homeschooling her two children, currently in kindergarten and fourth grade. Includes links to helpful resources and a description of loop scheduling. Complete the contact form below to receive an invoice for $6.00.